I was in my office at Gillette in South Boston preparing for a Program Management status update meeting when my newly acquired digital pager began to vibrate on my belt. I had subscribed to a news service and there was a notification that a plane had flown into the World Trade Center. I, like most others, initially assumed that it was a small plane that had gotten too close to the tower. I proceeded to the conference room where approximately ten others had gathered for the update and took a seat next to the moderator, Kate, to give her a copy of my updated timing on the program. 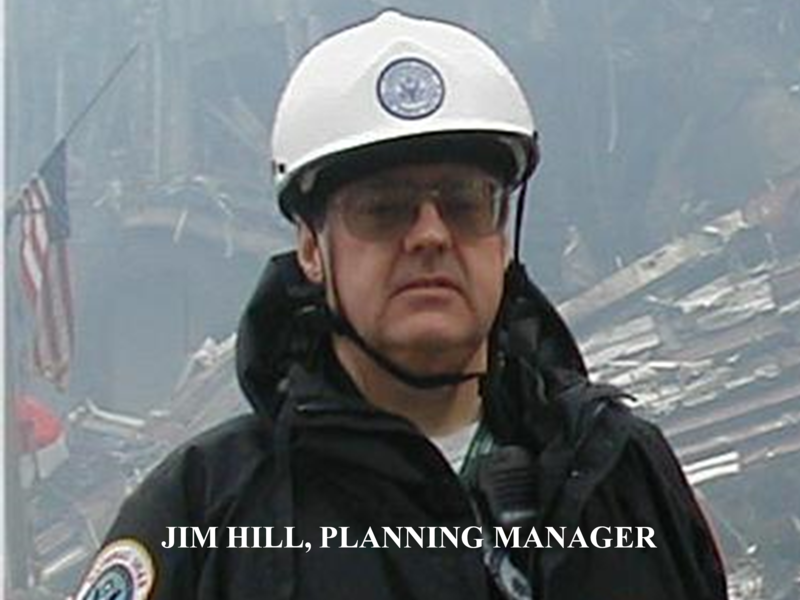 A few minutes after the meeting began, my pager went off again as the second tower had been struck. At this point, I interrupted the meeting to inform the group of what had happened. Kate turned to me and said that her sister’s husband worked in the North Tower. When the pager indicated that the first tower collapsed, I informed the group and we decided t end the meeting. As Kate ran off to contact her sister, I hurried back to my office and informed my department members of what had happened and that I would be leaving immediately. During the short ride home I had a chance to reflect upon the video reports coming in from New York. I began running through various scenarios of what we would find, who we could help and what we might encounter. The realization of all the people who had been working in the towers and all the rescuers who had responded, began to have its impact on me emotionally, and I thought to myself “what are we getting ourselves into” as I drove toward home. Although I do not consider myself an overly religious individual, I thought to myself, God help all those people and God protect us and all the others who would be responding. It was at that moment that I instinctively turned into the driveway of St John the Baptist Church and stopped at the Rectory. I asked to see Pastor George Butera, but was told he was busy, I explained to the receptionist why I was there and she told me she would notify him. As you know, Father Butera actually did make it to the cache before we departed to offer a prayer for those in New York and for our safety. As others have stated in their messages, these events and images from New York are forever burned into my memory and have changed forever my impression of the world as I knew it. We will truly never forget! May God Bless Us All & May God Bless the United States of America!